Before Walter and Naiad Einsel bought their home and studio, 26 Morningside Drive South was the home of Charles B. Sherwood. Yes, that’s the same Sherwood family remembered today through Sherwood Island State Park, the Sherwood Island Connector, even Sherwood Diner! Charles B. Sherwood was given 7 acres of land by his father Walter in 1853. That same year, he built his house. It was sold in 1864 to John B. Elwood, who owned it until 1920. The Einsels bought it in 1965, after vacationing in Westport for 4 years. In 2005 the Einsels received a Preservation Award for their home. In 2007 their home and property were designated a Local Historic District. The Einsels’ house on South Morningside Drive. Anne Hamonet and her husband Alberto bought what used to be the barn of the Sherwood property in 2002. They have since restored it, respecting its historic value. Today their home is a Greens Farms sanctuary, cherished by the neighborhood. The Hamonets raise chickens that run freely through the property. Anne brings fresh cage-free organic eggs to everyone at our neighborhood meetings. They also keep horses on the property. It’s almost like a movie set. 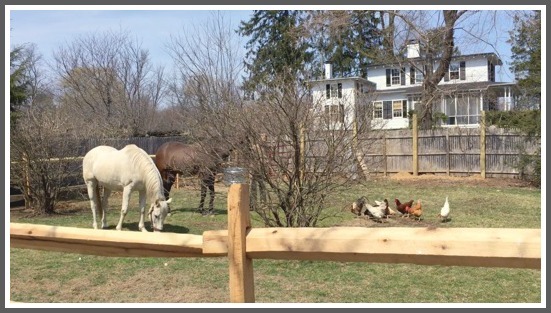 Because of the Hamonets, we all enjoy rooster and chicken noises, horses that can be seen from the street, and the beautifully restored barn. 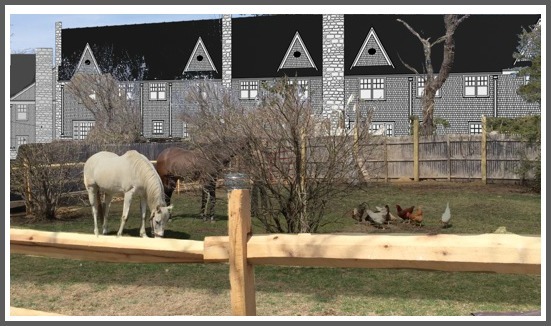 This is what their bucolic backyard looks like today, right next to the proposed development. This is an approximation of what it will be when the southwest block of the 16 3-bedroom, 32.5-foot high condos is built, just 15 feet from their fence. The historic importance of 20-26 Morningside Drive south is huge for Westport. It is about to be destroyed by a developer who purchased property in a historic district. He was well aware of the limitations, but is taking advantage of the 8-30g “affordable housing” statute which can take precedence over historic districts and flooding issues. The homes will be built on top of wetland setbacks on already flood-prone Muddy Brook – which this week caused the collapse of Hillandale Road bridge. There is also a safety issue. Westport requires a 400-foot distance from a school driveway for any driveway cutout. Plans for this development shows their driveway directly across from Greens Farms Elementary School. The developer has presented drawings of the individual groups of homes, but at the Architecture Review Board hearing on March 26, failed to present any documentation on how it will look as a whole. A Greens Farms United member who is an architect put all of their documentation together in a rough section of what it will actually look like (These do not account for any land modifications; it is simply an illustration of what has been made public). The house in yellow is the current home, which the developer plans to transport to a new location much closer to the road. Westport currently enjoys a 4-year moratorium on 8-30g developments, having met the state requirements. This proposal was submitted before the moratorium took effect. Hot on the heels of the Planning & Zoning Commission’s denial of an application for construction of a 6-story, 81-unit apartment complex between Lincoln and Cross Streets, off Post Road West, comes news of a new plan, on the other side of town. This one is smaller: just 19 units. As with other applications — Post Road West, Wilton Road and Hiawatha Lane, for example — this one includes an 8-30(g) element. That’s shorthand for the state statute that encourages “affordable” housing — and makes it harder for town officials to deny the request. Then again, the site is smaller. It’s 20 and 26 Morningside Drive South. If the address sounds familiar, that’s because the property was in the news earlier this year. Those are the sites of an 1853 house, and nearby studio and shed, formerly owned and used by noted artists Walter and Naiad Einsel. Walter and Naiad Einsel’s South Morningside Drive house. The plan — submitted by “Morningside Drive Homes, LLC” — consists of 19 3-bedroom townhouses, in 5 buildings. Six of those 19 units would be “income restricted,” in accordance with 8-30(g). The studio and shed would remain. The 1853 farmhouse would be demolished. A horseshoe-shaped private road off Morningside Drive South would serve the units. The exit would be directly across from the entrance to Greens Farms Elementary School. The entrance would be 150 feet south. As reported on “06880,” a long battle pitted a developer — who wanted to subdivide the property, while retaining the older structures — against preservationists. The Historic District Commission — with only advisory powers — voted unanimously against recommending approval of the subdivision application. They sent their comments to the Planning and Zoning Commission. With only 1 abstention, the P&Z voted down the request to subdivide. With this new 8-30(g) application, odds are good the P&Z is not finished with South Morningside. For years, Uncle Sam and Lady Liberty were packed away inside. Now, the pair of Einsel kinetic sculptures — Walter’s tips his hat, and his eyes light up; his wife Naiad’s torch shines, and her heart pulsates — have been moved from the Westport Historical Society’s cobblestone barn, onto the Avery Place lawn. 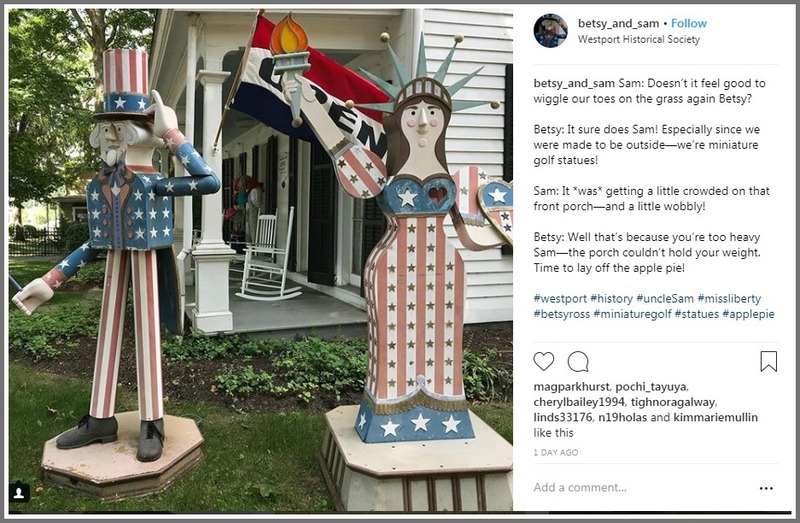 The public is invited to take selfies with “Sam” and “Betsy.” (No, I don’t know why the Statue of Liberty bears Betsy Ross’ name — maybe it’s her flag dress?). Photos can be posted to the statues’ Instagram account: Betsy_and_Sam. Each week, the WHS will give a prize from its gift shop for the funniest, most creative selfie. Please respect Sam and Betsy. Don’t climb on them. After all, they were born in the 1800s. The Westport Historic District Commission has a full agenda for next Tuesday’s public meeting (August 14, Town Hall, 7 p.m.). 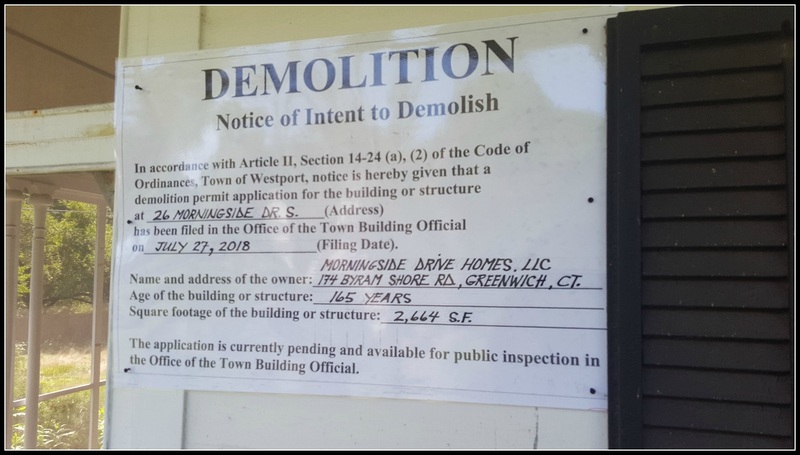 They’ll hear a request by the Westport Historical Society to place a commemorative plaque in a new downtown area — the former site of a largely black boardinghouse to acknowledge the contributions made by African Americans in Westport. They’ll talk about demolition permits for Bulkley Avenue South, North Main Street, Bayberry Lane, High Point Road, Island Way and Compo Road South. But they won’t discuss the proposed — and very controversial — demolition of 20 and 26 Morningside Drive South. As reported on “06880” earlier this month, a long battle pitted a developer against preservationists. Somehow though, this does not seem like the end of the war. The last time I wrote about Walter and Naiad Einsel was in 2016. The story was about their estate sale. Collectors flocked from many states to the 1853 Victorian farmhouse that for over 60 years had been home to the husband-and-wife artists. Both were inducted into the Society of Illustrators Hall of Fame. The couple were Westport icons. They worked together and independently on book and magazine illustrations, posters, ads and package designs. They were the first married couple to create stamp designs for the US Postal Service. They also produced 55 figures — with intricate details and moving parts — for Epcot Center. And they were important members of Westport’s arts community. Naiad designed our Bicentennial Quilt, sewn by 33 women and on display in Town Hall since 1976. She earned a Westport Arts Lifetime Achievement Award in 2011. Most importantly for this follow-up piece: In 2006 the Einsels received a Preservation Award for their South Morningside Drive home. Now, in 2018, that house may not be preserved much longer. In fact, a demolition permit has just been filed for the entire property. As far back as 2007, Naiad was thinking about what would happen after her death (Walter passed away in 1998). Morley Boyd — then chair of the Westport Historic District Commission — spent plenty of time on her porch, discussing her vision for the future. 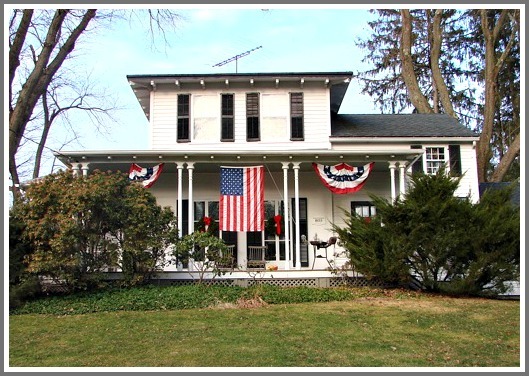 Ultimately, Naiad applied for a Local Historic District designation for her 2 contiguous properties. She and Walter had previously subdivided, facing the possibility that they might have to sell 1 lot — a square one, in front of Walter’s gallery — to fund their retirement. The Historic District Commission supported the designation. They hired a professional architectural historian to document the property’s history, and assess the structures’ architectural integrity. That report cited the historic and cultural heritage of the structures, while noting that the site reflected the rich agricultural history of Greens Farms — and represented fast-disappearing open space. Naiad died in April of 2016. The property was marketed as sub-dividable, and sold to a developer. The development company redrew the lot lines, extending 20 Morningside Drive South all the way back to wetlands. The firm then submitted a Certificate of Appropriateness application to the HDC, to build a house at #20. Preservationists and historians called the design “stylistically inappropriate,” and warned it would damage the historic integrity of the structures and their setting. The Commission denied the request, citing historic open space and farmland as additional considerations. In response, the developer sued the town of Westport. 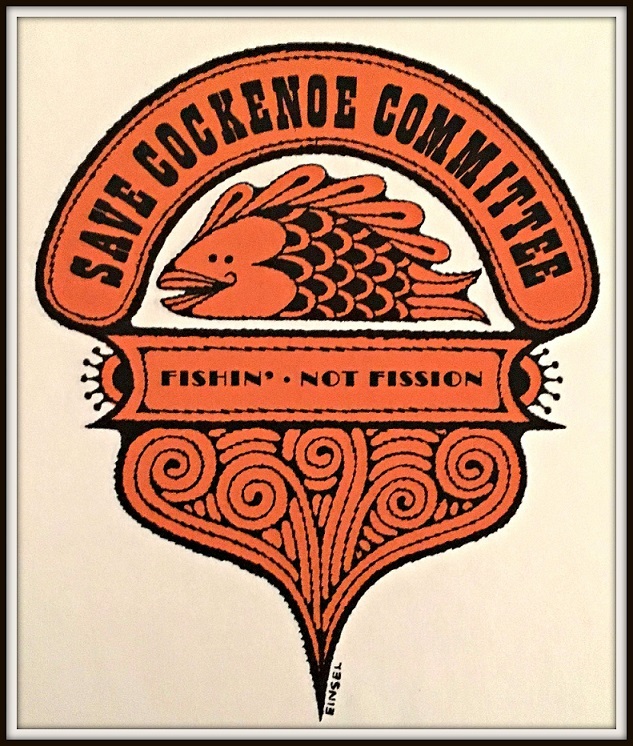 In the late 1960s, Naiad Einsel’s “Save Cockenoe Now” posters were seen everywhere in town.. Eventually, Cockenoe Island was saved: a nuclear power plant was never built there. Next, the developer submitted plans to subdivide 26 Morningside South. Two new houses would be stuffed around the historic building. The Historic District Commission — with only advisory powers — voted unanimously against recommending approval of the subdivision application. They sent their comments to the Planning and Zoning Commission. The developer responded with a vague commitment to preserve the historic structures. Assistant town attorney Eileen Flug offered her opinion: Open space and historic significance may be considered by the P&Z when weighing a plan to sub-divide. The P&Z voted down — with only 1 abstention — the request to subdivide. Which brings us to the present. 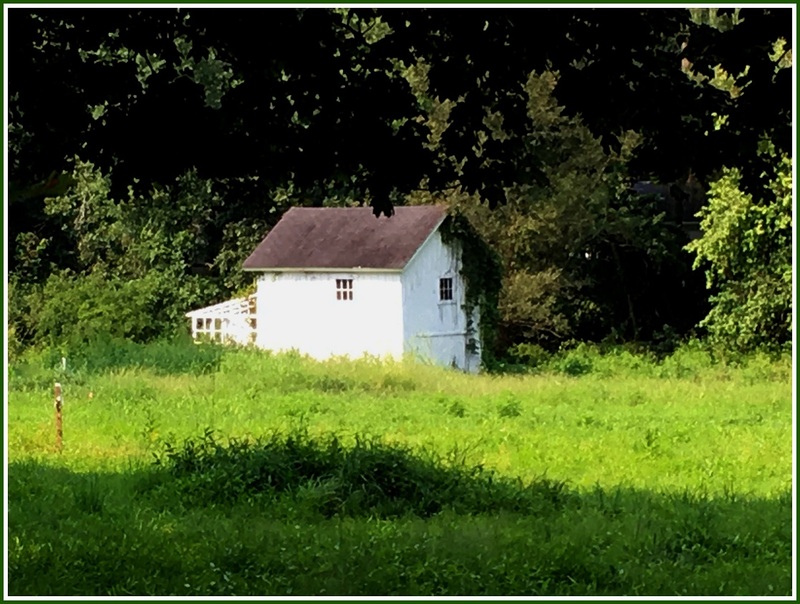 Demolition permits have been requested for all 3 structures on the property: the 1853 farmhouse, a small barn that is believed to date to the same period, and Walter Einsel’s culturally significant barn-style studio. One of the demolition notices on the former Einsel property. Neighbors, artists and others throughout town wonder: Who would buy an entire Local Historic District, knowing it had been the home of 2 beloved Westport artists, understanding all the regulations that apply — then set about surrounding it all with other inappropriate buildings? And — when that doesn’t work — destroy it all. Literally. “The preservation of these structures and their setting is ensured by an ordinance enacted by the RTM,” Boyd says. I called Fred Ury — attorney for Morningside Drive Homes LLC, the Greenwich-based entity associated with the properties. Citing ongoing litigation, he said he could not comment. 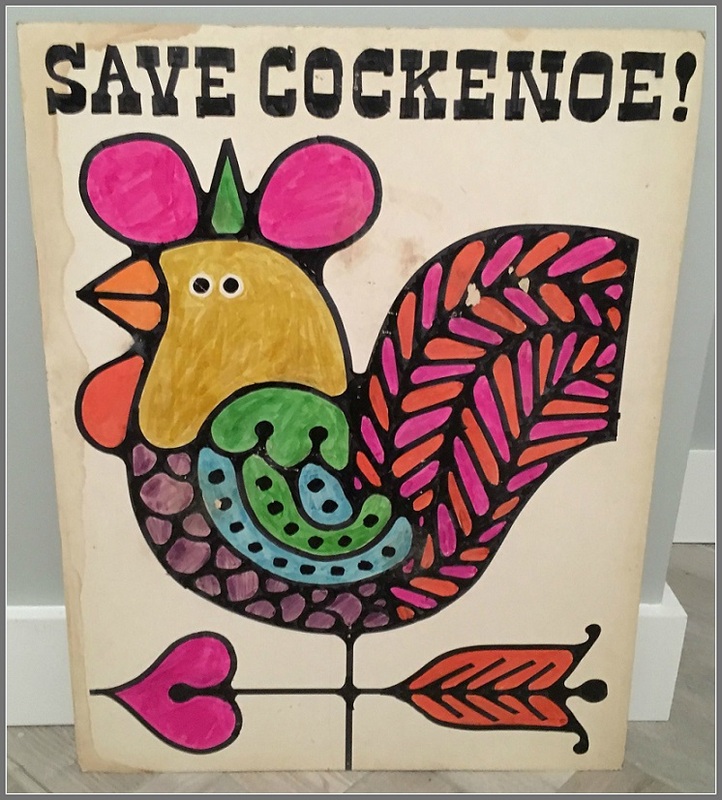 Yesterday’s post about the “Save Cockenoe Now” posters at Walter and Naiad Einsel’s estate sale reminded readers of a past political battle: When Westporters saved Cockenoe Island from becoming the site of a nuclear power plant. Everyone who was here then also remembers the Einsels’ iconic artwork. But alert “06880” reader Jeff Manchester went over to the sale, and found other posters that never gained that cult-status attention. It’s kind of like finding unreleased Beatles tapes, nearly 50 years later. 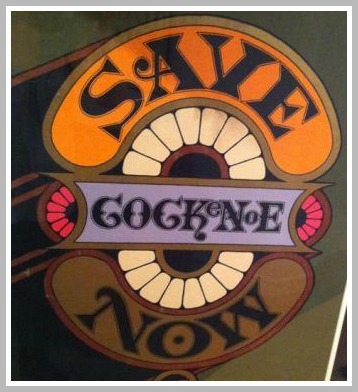 Here, in all their late-’60s, trippy glory, are 3 of those “unreleased” posters. 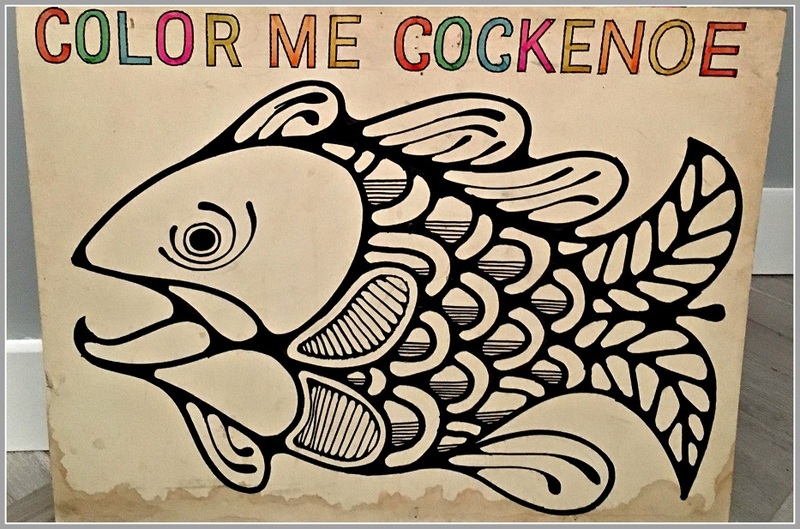 I particularly like the “Fishin’, Not Fission'” one. Thankfully — with a big boost from the Einsels — we’re here today to tell that tale. Last month, “06880” previewed Walter and Naiad Einsel’s estate sale. I don’t usually promote that stuff — but the longtime local artists’ Victorian farmhouse was filled with thousands of pieces of folk art, antiques, paintings, prints and advertising items. It seemed like a great Westport tale. Andrew wandered past mechanical toys, kinetic sculptures and books of illustrations, on into Naiad’s studio. Magic markers, colored pencils and scissors were all in place, as if she had gone downstairs for coffee. Thumbing through a stack of posters, he spotted a large envelope. Inside was a shimmer of gold and bronze. Removing it, he discovered a beautiful metallic silk-screened “Save Cockenoe Now” poster. But he’d only seen a black-and-white thumbnail-sized image of the poster, in Woody Klein’s book on the history of Westport. Andrew turned to the stranger beside him. He explained that the poster represented a perfect confluence of Westport’s artistic heritage, revolutionary spirit and environmental priorities. Then, in another Westport tradition, he gathered up as many posters as he could find, negotiated a bulk discount, and made a list of friends in town who deserved a gift. 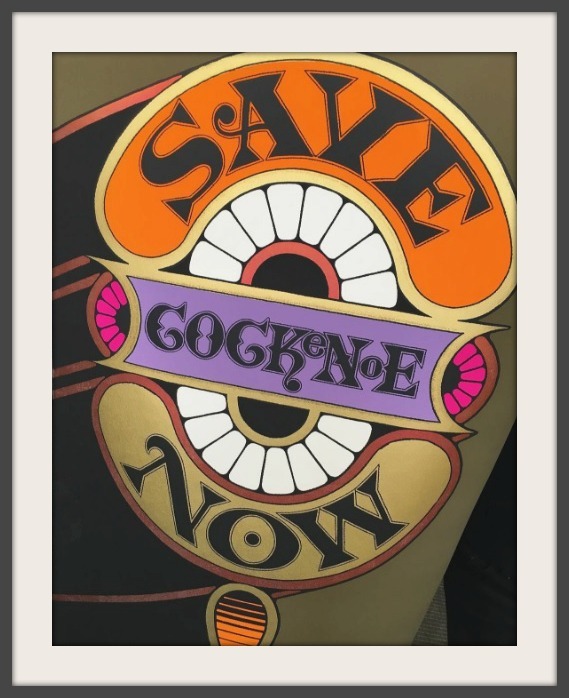 In 1967, Westporters saved Cockenoe. In 2016, Andrew saved its posters. Both stories are worth telling. I don’t usually post stories about estate sales. Then again, most Westport estate sales don’t attract interest from as far away as Canada. 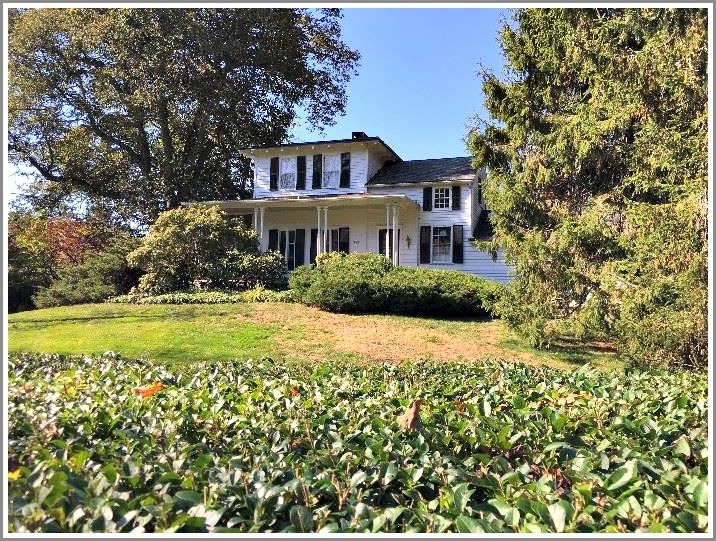 Most estate sales also don’t feature items from an 1853 Victorian farmhouse that for over 60 years was the home of husband-and-wife artists, both of whom were inducted into the Society of Illustrators Hall of Fame. 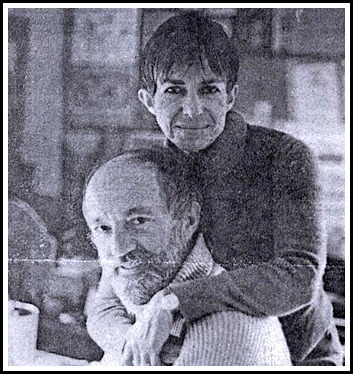 The couple — Walter and Naiad Einsel — were Westport icons. They worked together and independently on book and magazine illustrations, posters, ads and package designs. They were also important members of Westport’s arts community. Naiad designed our Bicentennial Quilt, sewn by 33 women and on display in Town Hall since 1976. She earned a Westport Arts Lifetime Achievement Award in 2011. In 2006 the Einsels received a Preservation Award for their South Morningside Drive home. Starting Friday, the entire contents of that house — including attic, basement and crawlspaces, plus their studios, the barn, outbuildings — are up for sale. Folks will come from all over the East for thousands of pieces of folk art, antiques, paintings, prints, kinetic sculptures and advertising items. The list seems endless: a 1900 cast iron kitchen stove; an Edison standard phonograph with horn and records; 15 antique clocks, and on and on. 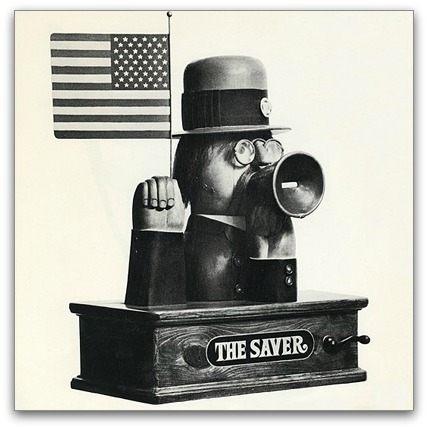 The Einsels’ “Saver,” made of copper, brass, polychrome and wood, 90 messages appear on tape in the megaphone as the flag is waved and the hat revolves. There’s also the usual stuff you’d find at any Westport estate sale, like sterling silver, crystal, cabinets, sofas, bookcases, blah blah blah. I’m always amazed at the number of cars parked at “normal” estate sales. This one could be a record breaker. There’s early buying on Friday (November 11, 4 to 9 p.m.). It costs $50 per person that night — but a portion of that fee will be donated to the Westport Historical Society. That’s fitting. The Einsels had a lot to do with restoring the WHS’ 7-sided cobblestone building. There, Walter’s kinetic sculpture “Uncle Sam” tips his hat, and his eyes light up. Naiad’s “Statue of Liberty” also moves: her torch shines, and her heart pulsates. The estate sale continues Saturday (November 12, 9 a.m. to 4 p.m.) and Sunday (November 13, 9:30 a.m. to 5 p.m.). It will be packed. Items will go fast. But if you don’t find anything you like, you can still purchase something Einsel-related. The historic house is up for sale too.